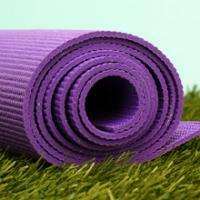 InBliss Yoga is a hip and happening and booming with happiness center of Spirituality. Where Chanting Mantra and channeling of Spirit occur and expand in Abundance, Love and Success and inspire those around you to do the same. We have Fundamentals of Yoga for those new to Yoga. We have Ashtanga for those that enjoy challenging classes. RockStar ArmBalance Classes to Pump You Up.